FORT LAUDERDALE, FL--(Marketwired - July 23, 2014) - Now, every angle is the perfect angle. 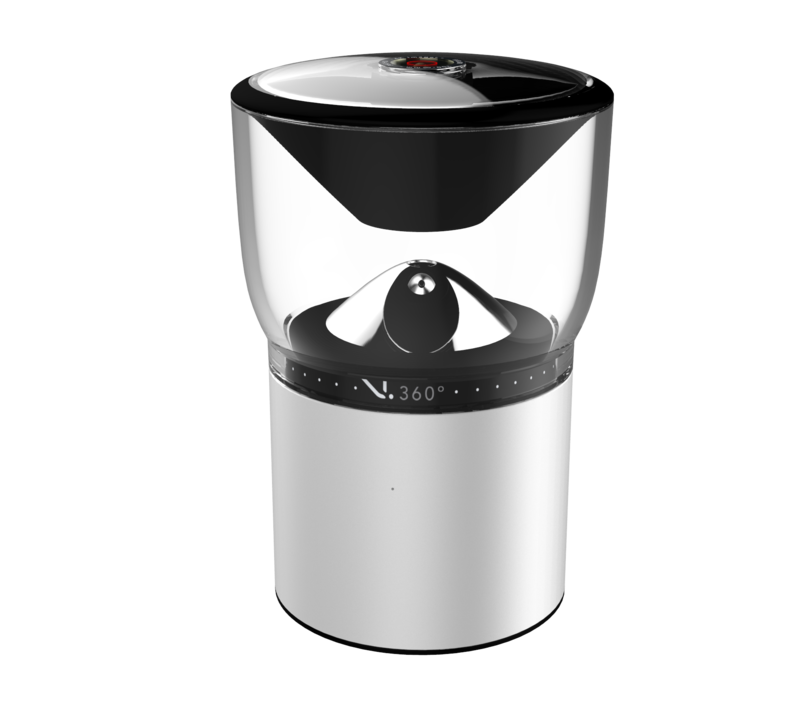 VSN Mobil has unveiled its V.360°™ camera -- the first device to capture 360 degrees of video with a 16 Megapixel imager in full 1080p high definition. Whether hurtling down a ski slope, in a business meeting, at the beach or on a jungle safari, the V.360° camera can capture the experience from every angle at once. 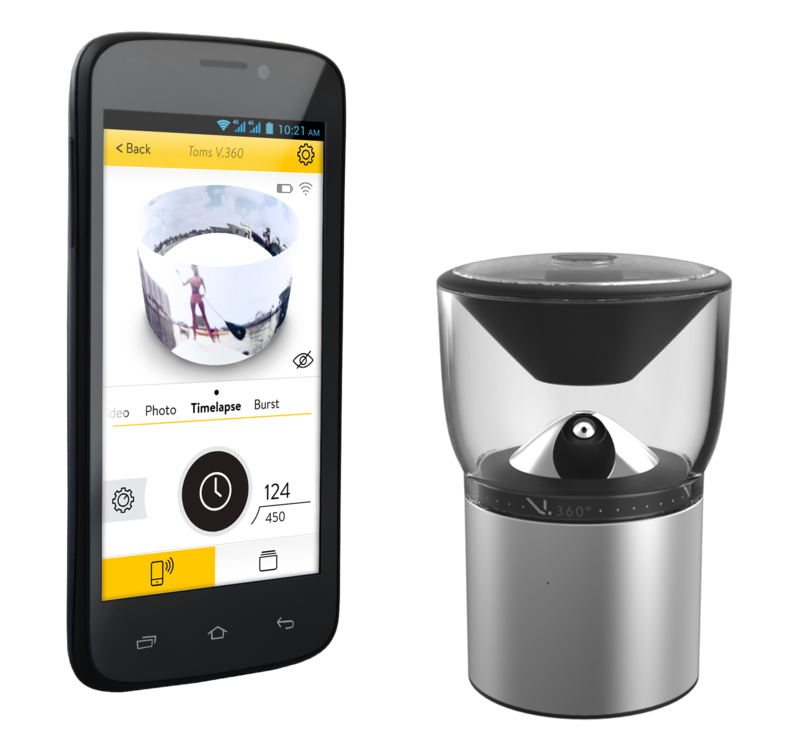 The V.360° camera is the latest disruptive product from VSN Mobil, the company that brought you the V.ALRT™ which redefined Personal Alert Management and made it easy for anyone to summon help with the press of a button. "The V.360° camera finally makes it possible to capture life's most astonishing moments at every angle simultaneously," explained Matt Gordon, VP of Strategic Marketing for VSN Mobil. "This unprecedented device truly changes the game for anyone who wants to shoot videos or capture still images." The V.360° camera is the first to capture details previously unseen by other cameras -- since it shoots not just forwards, but backwards and in a complete 360-degree view at all times. As a video is captured, it can be viewed through a free companion app for Android and iOS phones and tablets. The app lets the user manipulate the 360-degree video or image to see every angle -- or lay it flat, resulting in a very detailed panoramic view. The V.360° camera utilizes a very high quality, 16 Megapixel imager capable of capturing 360 degree video in full HD resolution (1080x6480 pixels) -- comparable to three full 1080p images laid side to side. The imager also incorporates backside illumination for excellent performance even in low-light conditions or underwater. This combination of imager and the unique and patented optics means the days of stitching images together to get a complete 360-degree picture are over. The V.360° camera is the perfect travel companion for any adventure. Its durable housing construction is certified to military standards as well as having an IP67 rating. It is shock, vibration and dust resistant as well as water immersion resistant to 1 meter for up to 30 minutes. The V.360° camera is compatible with the standard mount used by GoPro™ and other cameras, so it can be attached to available helmet mounts, tripods and a variety of other accessories. The V.360° camera supports simultaneous video and still pictures and includes built-in GPS sensor to tag locations, a barometer/altimeter and an advanced Qualcomm® Snapdragon™ 800 processor. The Snapdragon 800 processor's combination of integrated image signal processor (ISP), 2.3GHz quad-core Krait CPU, Qualcomm® Adreno™ 330 GPU and video processor means that the V.360° camera can capture, de-wrap and encode a 360 degree image at higher frames per second and lower latency because all of this work is done right on the camera, not off in the app. This means that consumers can enjoy fast, consistently high quality 360 degree images. For information on the V.360° camera please go to www.vsnmobil.com/cameras/v360. Be the first to see the V.360° camera at the Sin City: A Dame To Kill For experience at Comic Con 2014 in San Diego. VSN Mobil is partnering with Dimension Films to showcase the V.360° camera as part of an interactive car show experience using seven of the actual cars used in A DAME TO KILL FOR and the past SIN CITY films. The car show will be open from 9am-6pm from July 24-27 in the Petco Park parking lot by the footbridge leading to the Convention Center. There, VSN Mobil will be hosting pavilion with V.360° cameras available for people to preview. Qualcomm, Snapdragon and Adreno are trademarks of Qualcomm Incorporated, registered in the United States and other countries. Used with permission.